Some classes can have creatures as faithful companions. For example, Sorcerers and Wizards can have a familiar, Druids and rangers can have an animal companion and Paladins have a special mount. 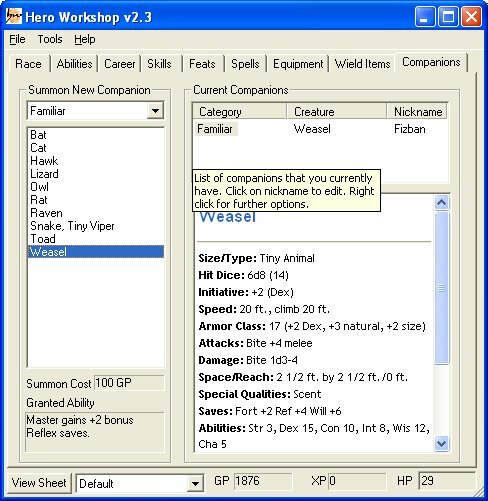 Note: You can add custom creatures by editing an XML file.